Want some extra scrapping challenges this week, with a chance to win some great prizes? 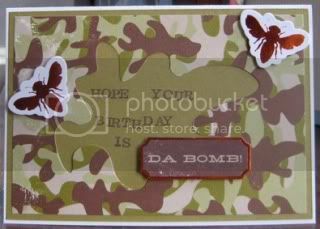 Head on over to ScrapBoutique for thier week long 2nd Birthday Cyber Crop!!!! 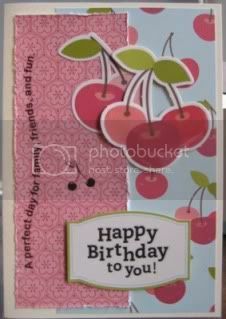 The first card uses October Afternoon 'Cherry Hill' papers and die cuts, plus some Stampin' Up! rubons (no longer available). 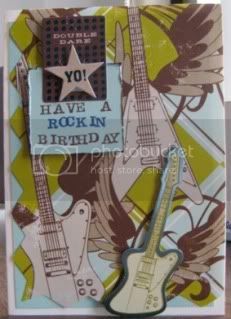 The other two cards use Making Memories 'Just Chillin' Boy' 8x8 papers plus die cuts, and the super cute little alphabet stamps from Stampin' Up! Part of the challenge was to use some PP that's been in your stash for over a year - i've used some old Scenic Route, which i LOVE, but i just never used!! Glad i did - i'll probably use it again soon!! 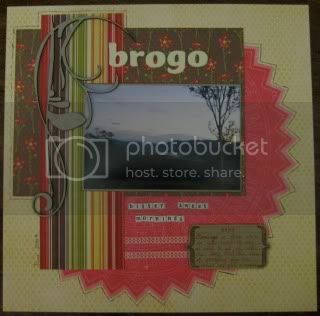 I've also used a really lovely RW laser cuts chipboard embellishment, a College Press die cut circle, some thickers and carolee's creations alphas, along with a *yummy* retired Stampin' Up journal stamp - love it! !